Over the holidays, my wife got a bit saucy with her cookies. 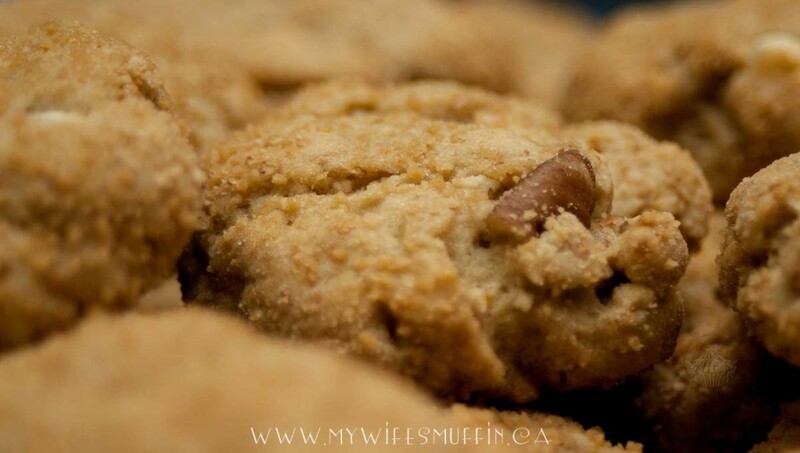 The liquor cabinet became part of the pantry as she experimented with adding various boozy notes to her cookie recipes. Some turned out amazing, like her Tipsy Chocolate Chip Cookies. Others weren’t exactly how she envisioned them, such as the delicious #fail that became her Bombed Gingerbread Cookies. Now the cookies we’re sharing today, they’re definitely something unique. We don’t know if they’ll fall in the #win or #fail category for you. We guess it all depends on whether you like orange and maple flavours. 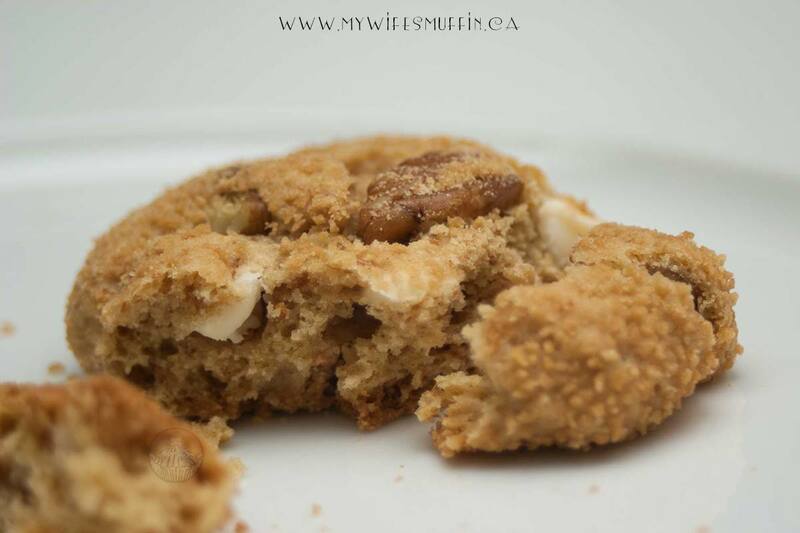 That’s exactly what you get with my wife’s Royal Maple Whiskey Cookies: a bold burst of orange with mellow hints of maple. 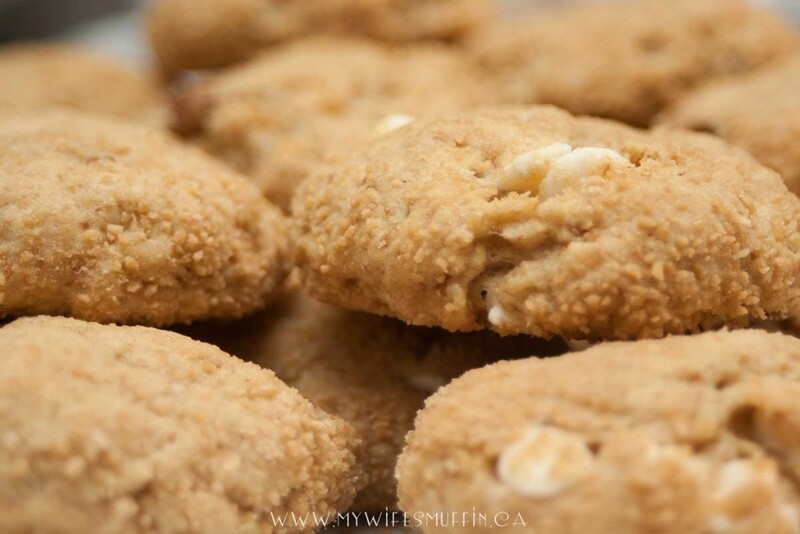 The maple sugar coating gives these cookies an awesome crunchy outside, too! Preheat oven to 350F. Line cookie with parchment paper or lightly grease. In large bowl, cream butter and brown sugar until light and fluffy. Add egg (beaten slightly), maple syrup, whiskey, orange zest and vanilla. Mix until thoroughly combined. In a separate bowl, sift together flours, baking soda and salt. Add into wet mixture and stir until just blended. Mix in pecans & vanilla chips. 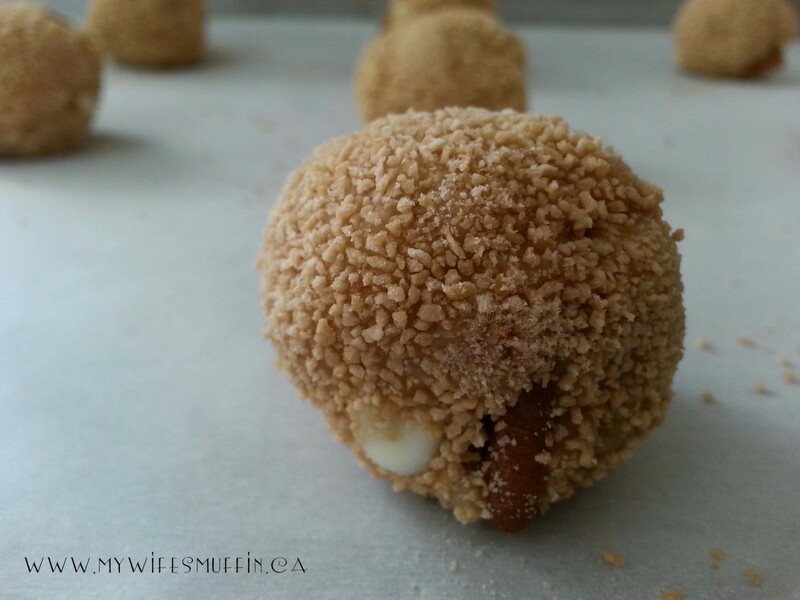 Shape into 1 inch balls and roll in maple sugar. Space about 2 inches apart on prepared cookie sheet. Bake 8 to 10 minutes. Allow to cool on wire rack.